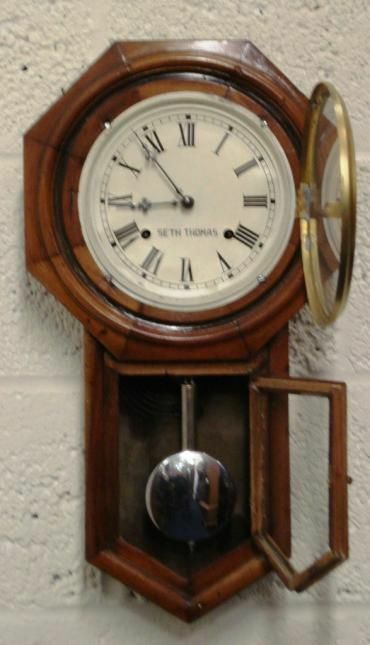 American wall clock by 'Seth Thomas', 8 day spring driven, gong striking pendulum movement circa 1900. 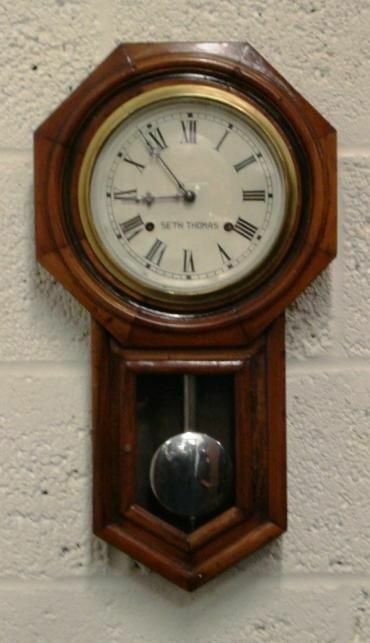 Octagonal wooden case with drop dial pendulum housing and brass bezel with flat glass over a white painted dial with black roman numerals and ornate black painted steel hands. Dimensions: Height - 22", Width - 12", Depth 5". Open 9am-5pm Monday-Friday and 10am-1pm on Saturday. We guarantee the piece you buy will have received the care and attention required to make it a timepiece you will treasure. 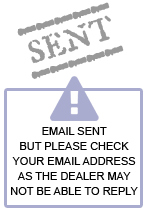 All our items come with a one year guarantee. The American 'Seth Thomas' Striking Wall Clock has been added to your saved items.